Inform your child about the Arrival of a baby as soon as your pregnancy is confirmed so that your child gets time to adjust and knows beforehand. Show your toddler books and videos about the inside of your womb and see how fascinated your child will be, on seeing the development of his sibling. Tell your child how exciting it will be to have a sibling to play with and that he/she will learn things from you. 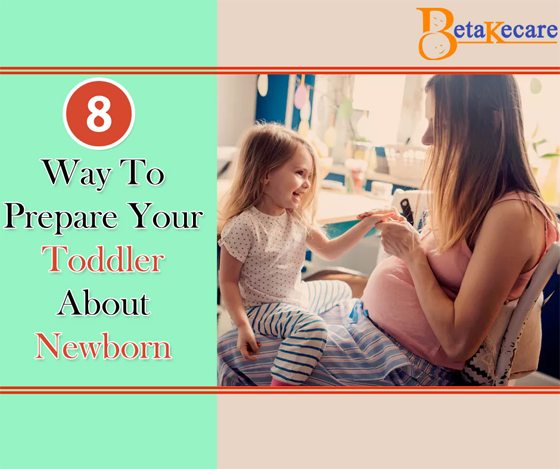 Although your toddler would love to play with their sibling, you must be let him/her know that it will take some time for the baby to do that. Mention to your toddler that the baby wouldn’t know how to play, or sir and that he/she would have to teach everything as an elder sibling. Son’t just keep talking about the upcoming baby. Tell your toddler interesting instances about his life and his birth story and just how amazing that was. This will not only make your child understand but also make him/hir also feel special. Cuddle a little extra, hug and kiss your toddler and remind him how much you love him and how spacial he is to you. After all, you are going to get less time with your toddler in the days to come. Take your toddler with you when you visit the doctor. Allow him to watch the stenography. Your toddler will feel really excited and responsible on seeing a small baby inside mummy’s tummy. Tell your child that mama would need help in the initial few weeks as the baby can’t get anything on his own. So, your toddler can play a very impotent role and help in getting things for the baby. Previous articleWhat To Look For When You Buy A Stethoscope?